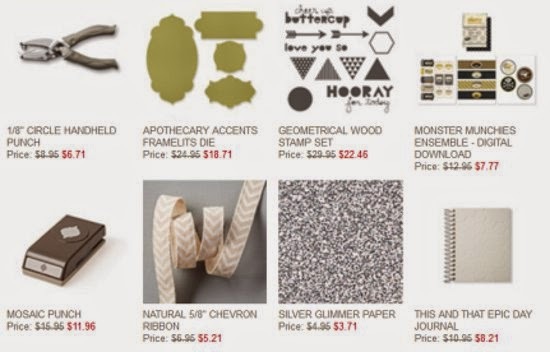 Here are the weekly deals for this week at Stampin' Up! I simply love weekly deals! There is no better opportunity to get great savings. It's like getting a coupon from one of the big box stores, only better, because these savings are for awesome Stampin' Up! products! SHOP FOR YOUR WEEKLY DEALS HERE!